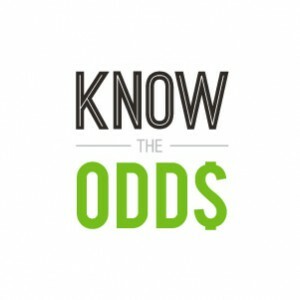 KnowTheOdds offers resources to help learn about problem gambling and where to get help. Throughout New York State, men and women of all ages are being affected by problem gambling. Whether you are currently gambling, in recovery, or a family member or friend who is affected, you can find what you need about problem gambling at KnowTheOdds. Learn from several educational resources, including ebooks, interactive infographics, PSAs and blog posts that can provide you with information and support. Our resources raise awareness of problem gambling and encourages individuals and families in NYS to reach out for help. KnowtheOdds ebooks provide a more in-depth look at Understanding Problem Gambling, The Hidden Addiction, and Staying Safe after Problem Gambling. Personal stories and experiences of New Yorkers are provided in The Faces of Problem Gambling. Ebooks as well as blog posts will help readers gain a greater understanding of problem gambling and its impacts. Infographics at KnowTheOdds focus on The Path of Problem Gambling and The Cost of Gambling. These tools are a fun and interactive way to learn more, so go exploring! See how much you already know about how people progress to a gambling problem. In addition to raising awareness of problem gambling, KnowTheOdds’ support directory encourages individuals to reach out for help that is available in NYS, including treatment and self-help programs. Visit KnowTheOdds to find the most comprehensive problem gambling resource online today!